A leading expert on bovine tuberculosis has called on the government to "review all the options" to control the disease, ahead of a proposed badger cull next summer. 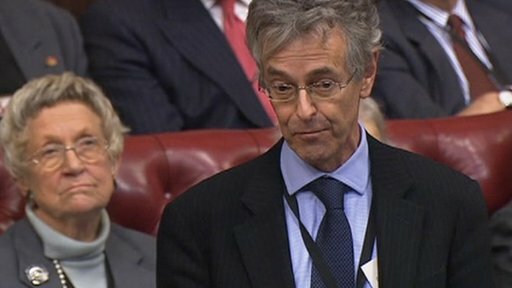 Crossbench peer Lord Krebs was speaking during oral questions on 11 December 2012. Government ministers want to hold a pilot badger cull in two areas of south-west England next year because badgers spread tuberculosis to cattle. But Lord Krebs wanted to know how the success of the trials would be judged, and whether the government would look again at the different options. He told peers: "Not even the most optimistic proponent of culling would consider that it is a credible strategy for eradication of this dreadful disease." His view was supported by Leader of the Opposition Baroness Royall of Blaisdon, who insisted there was still no "scientific, economic or moral" basis for culling. Labour peer Lord Hoyle had tabled the original question, saying that scientific evidence over 10 years shows killing badgers makes "hardly any difference" to tackling the disease. Lord Hoyle went on to urge the government to follow the lead of the Welsh Assembly, and opt for "vaccination over elimination." But Environment Spokesman Lord De Mauley said that while the government wanted to use vaccinations for cattle and badgers, there were currently "practical problems" with this approach. These problems include the need to trap the badger, the fact it does not treat already infected animals, the high costs involved and the fact it needs to be repeated every year. Peers also asked questions on the current political situation in Georgia, companies avoiding UK taxes, and blood tests for latent tuberculosis.